SINGAPORE — Aug. 21, 2018 — Logitech G, a brand of Logitech, (SIX: LOGN) (NASDAQ: LOGI) today announced the Logitech® G PRO Wireless Gaming Mouse, the first Logitech G LIGHTSPEED™ wireless gaming mouse designed with and for professional esports athletes. The Logitech G PRO Wireless mouse was built for the highest levels of professional play and features Logitech G’s next-generation HERO (High Efficiency Rated Optical) 16K sensor for the ultimate in sensor speed, accuracy and responsiveness. The PRO Wireless mouse also features Logitech G’s exclusive LIGHTSPEED wireless technology, the only wireless solution that provides pro grade performance and is actively used in tournament play by top professionals. In addition, Logitech G also announced today that the Logitech® G PRO Gaming Mouse will get an upgrade. The new mouse will include Logitech G’s new HERO 16K sensor and a low-friction, flexible cable, while keeping the comfortable classic design and superior click performance. 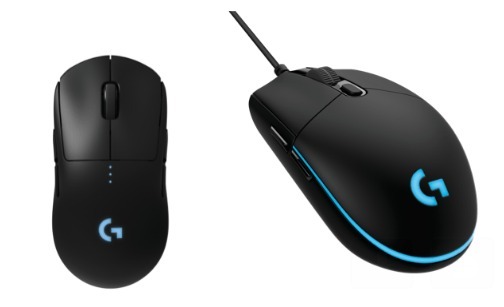 The Logitech G PRO Wireless Gaming Mouse and the Logitech G PRO Gaming Mouse with HERO sensor are expected to be available at Lazada, end-September 2018 for suggested retail prices of $249.00 and $109.00 respectively. For additional information please visit our website, our blog or connect with us on Facebook.